Frontiersmen on the march in East Africa. The criticism carried on in similar vein over many paragraphs. Macdonald concluded that it would be hopeless to expect an independent and unbiased enquiry into the fiasco. It seems highly likely that a number of men who had served with the 25th Bn. Royal Fusiliers (Frontiersmen) in East Africa came forward to tell Macdonald of their experiences so that Macdonald then wrote a two-part article on 13th and 14th May in an even more critical tone, producing damning evidence of the incompetence of most of the Staff officers and of the disgraceful way the Frontiersmen’s battalion had been treated. This story is confirmed by articles in Frontiersmen magazines. In March 1925 Capt. Sutton Jones wrote that “On leaving England we were armed with forty-five Martini-Henries which were so old that some of them were practically smooth bores but on reaching Malta we got the service rifle issued to us through the kind offices of the military commander there.” Driscoll’s contacts from his South African days came in useful. At a 1931 Frontiersmen dinner Major Hazzledine commented that “…the battalion obtained the right up-to-date rifles at Malta. That was one advantage of having a commanding officer who knew what was necessary and got it.” The military commander of the arsenal at Malta had served with Driscoll in South Africa. The War Office had emphasised that it was important to get the battalion to East Africa and into action. When they arrived, for some strange reason and in spite of the entreaties of Col. Driscoll, they were split in two, with some being sent to Kajiado and the rest sent to Nairobi, allegedly on a musketry course. The men who went to Nairobi were kept there for many weeks before they ever fired a round on the range, although in the meantime all the men at headquarters at Kajiado had been through a full course on a range which they had built for themselves and had incidentally participated in the one great success of the campaign at Bukoba; further, the camp at Nairobi appears to have been regarded as a happy hunting ground by any Staff officer who wanted to purloin a Fusilier for employment as his clerk or his servant or for some other similar work. Many of these men never saw the battalion again. Here…they found themselves for the first time under a staff which treated them fairly and, furthermore, was well disposed to all of them, from the colonel downwards. Under General Sheppard they did splendid work, both on the march to Moschi and at the taking of Kahé, but unfortunately they were not allowed to remain very long with him. WO32/5826 T.N.A. Kew. One of many sketches by Capt. Angus Buchanan who was regularly used for scouting. Orders were given to disembark at 11 a.m., but it was after 6 p.m. when the battalion got ashore. Late at night, after a long train journey, they found themselves in Barnes [south of London]. The shameful treatment Macdonald reported was surely worse than many soldiers had to endure? Probably the fact that this treatment received such coverage by an independent journalist in a London newspaper yet again did not endear the Frontiersmen to the War Office. The Frontiersmen were always considered an irritation and, even though they had a number of highly-placed supporters ⁴, it was only in desperation that Driscoll was instructed to form the 25th Battalion Royal Fusiliers and lead them into action. As we saw in: www.frontiersmenhistorian.wordpress.com/2016/08/01/supporting-the-authorities/ the Dominions and the Colonial Office found the Frontiersmen a useful auxiliary as they did not have enough men to maintain the law in the large areas they usually had to administer. These Frontiersmen were well-trained men who cost the authorities little or nothing and who continued to train with enthusiasm. They were also extremely loyal to the King and to what between the wars was still the Empire. Time and again they proved their value. We will cover further aspects of this in future Topic pages. The Colonial Office were expected to refer any matter that might come under a military heading to the War Office. 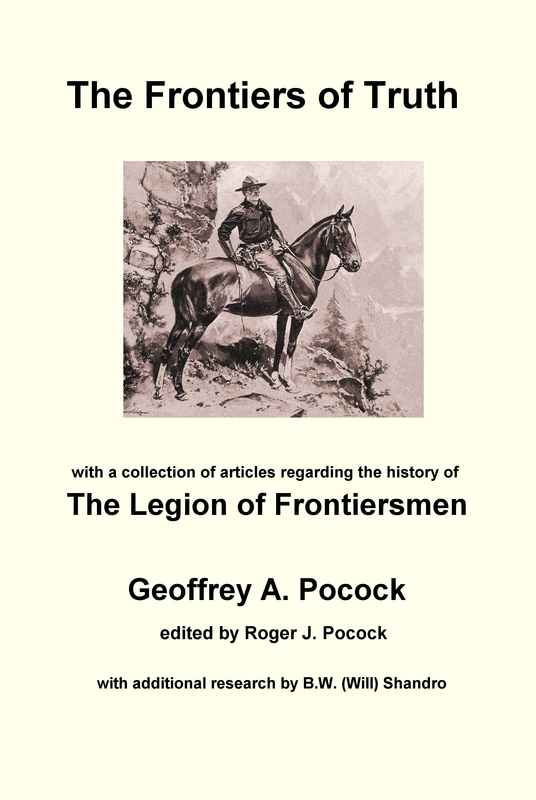 We can and will be giving examples of the War Office instructing that the Legion of Frontiersmen were unofficial, not approved, and not to be supported or encouraged. The War Office had long memories and articles such as Macdonald’s publicly criticising in the strongest terms the way the Frontiersmen had been treated in East Africa were not going to improve their opinion of the Frontiersmen. The War Office was convinced that they were a body independent of thought and action and unwilling to tread an official line. To Frontiersmen, this attitude was grossly unfair, but an outsider might consider that, among the regular army officers at the War Office steeped in a far different culture, it was to some extent understandable. ³ “The Globe” 29th March 1919, Macdonald writing about the problems and poor treatment of some troops returning to Britain. This entry was posted in Frontiersmen, History, Latest Topic, Legion of Frontiersmen and tagged Driscoll, Smuts. Bookmark the permalink.